Furniture Pop-Up will be a fun, social event with the Makers at the fore. The venue, The Briggait, is a gorgeous space that will be filled with bespoke Scottish artistry. 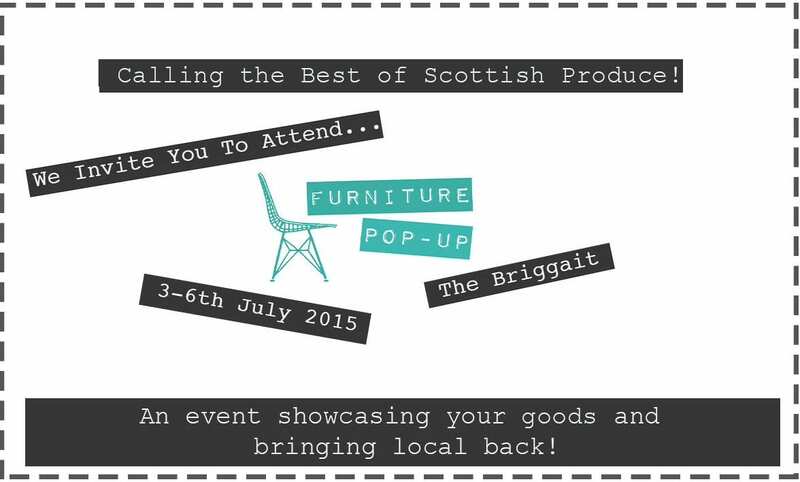 In addition to this, they seek the best of Scottish produce to this unique event to add a different dimension to the event; providing Furniture Pop-Up with relaxed atmosphere and an all-rounded local experience, making it a great event for customers to enjoy! Who are they looking for? Scottish Food & Drink producers. *Covering Venue Hire, Sales & Marketing, opportunities for promotion on our website and of you and your products on Social Media.